An inspiring and innovative programme – Leaders and Followers – will start September 2014. 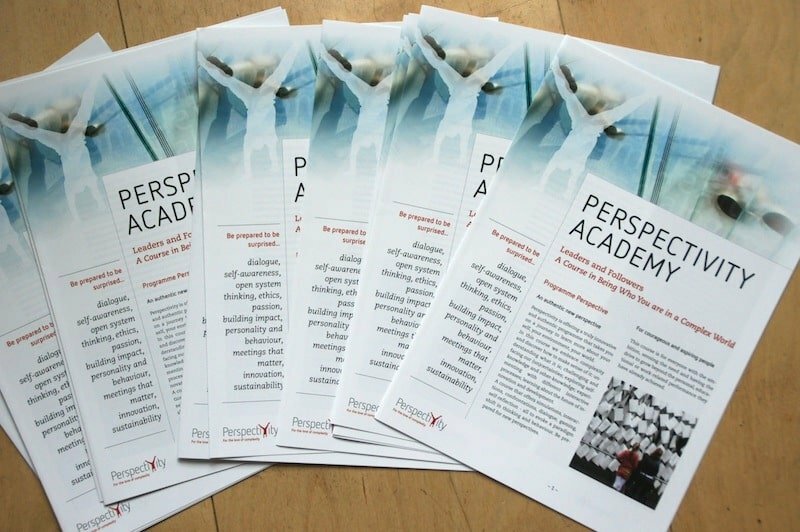 The first development programme of Perspectivity Academy offers new perspectives for ambitious people who want to make a difference in the world. A course on complexity, interactive processes, innovation, dialogue, systems thinking, self-awareness, appreciative understanding and more.